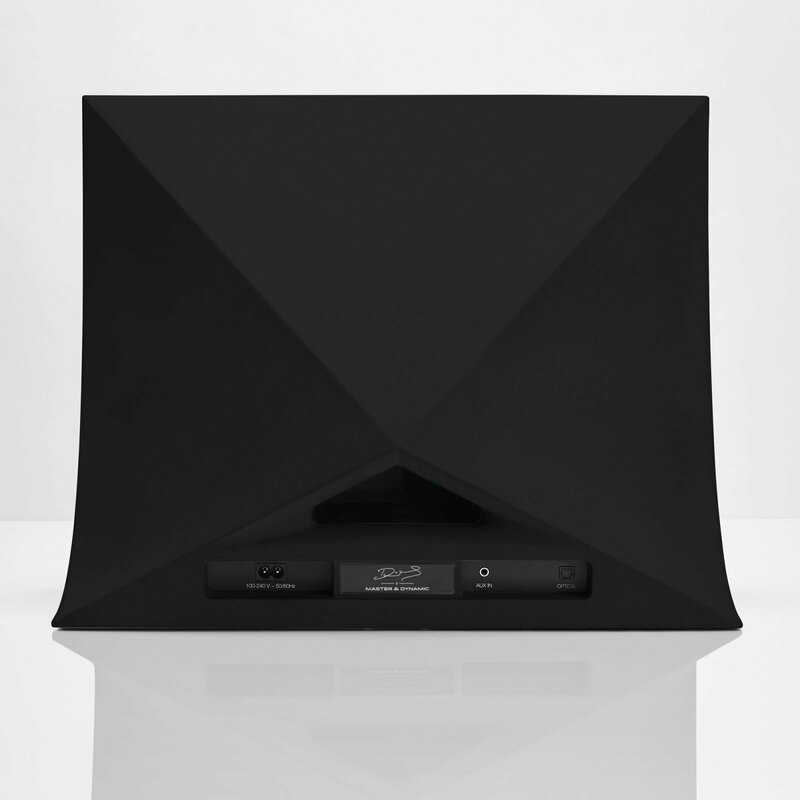 Renowned architect Sir David Adjaye and audio brand Master & Dynamic have partnered to create the ultimate speaker for design and music lovers. 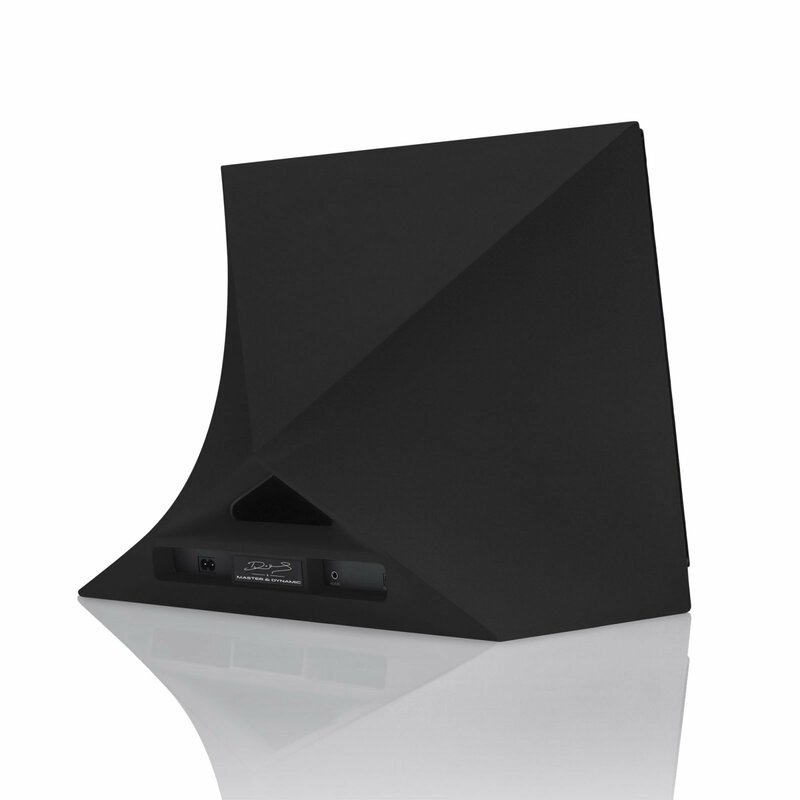 The MA770 Wireless Speaker – Black has a geometric silhouette and a sculptural design. Featuring curved lines and bold angles, this concrete speaker doubles as a decorative item. The proprietary concrete composite gives the speaker superior sound quality and reduced resonance while increasing dampening. Designed to provide an exquisite audio experience, MA770 features dual 4″ woven Kevlar long throw woofers and a 1.5″ titanium tweeter. 100 Watts of Class D amplification is also included in the premium components. Compatible with all Chromecast-enabled music services such as Spotify, Pandora, or Soundcloud, the speaker also has Bluetooth and WiFi connectivity. Other features include 3.5mm auxiliary analog and TOSLINK optical inputs, and a removable steel grille. Gessato is an authorized retailer of Master & Dynamic products. We purchase all of our Master & Dynamic products directly from the company in order to bring you genuine items that represent the best in contemporary design. Every Master & Dynamic product in the Gessato shop is authentic, comes with official brand packaging, manufacturer’s warranty (where applicable), and is sold with Master & Dynamic's authorization.